I am super excited to publish my first Photoshop Mockup pack. For those who aren’t entirely sure what that means, here’s a quick explanation. As a designer (hand letterer, artist, logo creator, etc) who creates things like prints or premade art, it’s important to show off that art in high quality. You want the rest of the image to look as good as the art that you’re creating to help sell it better. In some cases, it’s not always easy or time conducive to take that picture yourself. Mockups are a great solution. All you have to do is open the file in Photoshop, and pop the image of your art into the given layer. It automatically fits into the predetermined space and looks finished. It’s as easy as that. My pack comes with 4 different .PSD files (3 of them seen above). They’re all cohesive enough that they can be used in a project together. They’re also different so that they meet all kinds of needs – picture frame, tags, and a basic print. Backstory Time. My friend Ann lives in a hard wood floored, white walled apartment not too far from where I live. She also has a variety of white countered surfaces. Rather than try to get more creative in my own home, I figured it would be much easier to borrow her space for the afternoon. (plus it gave me an excuse to hang out with her) I brought my own props, but I also used a bit of her knick knacks as well. Essentially, I owe her all the thanks in the world for letting me use her apartment. I can’t tell you the number of photos I took, but it got pretty frustrating after a while. I’ll be honest, it’s hard getting the perfect set up. You don’t want too much, but you also don’t want it to be too empty. And what exactly is the perfect angle so that everything looks nice, but the focus is still clear. And don’t even get me started on having to shrink down the size of the files just so that I could upload them to Etsy. It’s been a learning experience for sure. That being said, I definitely plan on making more mockups in the future. It even gives me an excuse to buy more cute little trinkets as props! (ok, ok. I probably still won’t be able to convince myself to do that.) What do you think about mockups? Ever used them? Happy Friday, everyone! Enjoy the weekend! 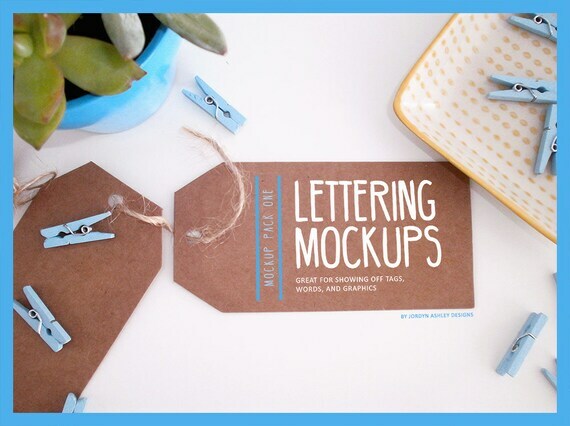 Maybe even pick up a mockup pack to help you out with your creating.